The election this November will address many serious issues – probably the most important of these is the abortion issue. The election is roughly nine months from now. 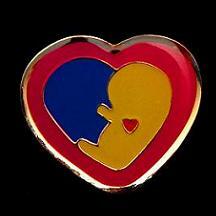 And during the next nine months we can remind ourselves often of the plight of the unborn and pray for their rights . Nine months, of course, symbolizes for pro-lifers that sacred period ordained by God for each unborn child to grow and develop according to the plan of God. Let us pray that unborn children will be the real winners in this election – that is that their rights will become better understood and more fully protected through the political (and judicial) process. During the next nine months we can show solidarity for the unborn in various ways – particularly by surrounding them with our love and praying fervently for their rights during this election cycle. Happy St. Valentine’s feast day! Happy St. Valentine’s Feast Day to you as well! Great observation on the upcoming nine months. Simply a lovely blog as well! Hopefully, someday soon, there will be no need for it… I have subscribed to your e-mails and am looking forward to them eagerly. Great information here that I will pass on to my reader’s through promoting your good works and site on my blog. Feel free to add my http://www.fratres.wordpress.com site to yours if you so desire. Would love to know how to get one of the heart pins pictured above. Please let me know if that is possible. Thank you and God Bless!!! For anyone interested in where to obtain this pin. It is sold at this website.